"They give safe haven to the terrorists we hunt in Afghanistan, with little help. No more! ", he said in a scathing criticism of Pakistan. The United States has also suspended its $255 million military aid to Pakistan for now, the White House confirmed on Monday, saying the fate of such assistance will depend on Islamabad's response to terrorism on its soil. "The United States does not plan to spend the $255 million in FY 2016 in Foreign Military Financing for Pakistan at this time," a senior administration official told PTI on conditions of anonymity. "The president has made clear the US expects Pakistan to take decisive action against terrorists and militants on its soil, and that Pakistan's actions in support of the South Asia Strategy will ultimately determine the trajectory of our relationship, including future security assistance," he said. The US administration continues to review Pakistan's level of cooperation, the official said. "Pakistan has made enormous efforts and sacrifice for the fight against terrorism and has made very outstanding contribution to the global cause of counter terrorism. The international community should acknowledge that," Chinese foreign ministry spokesman Geng Shuang said here when asked about Trump's criticism of Pakistan. 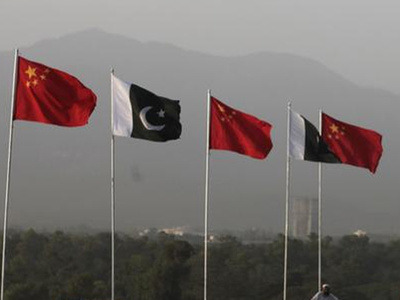 China is currently investing heavily in Pakistan as part of the $50 billion China Pakistan Economic Corridor (CPEC) over which India has raised objections as it passes through Pakistan-occupied Kashmir. He said during the December 26 trilateral meet, the three countries "reached a lot of consensus" on cooperation.